(HealthDay)—A new survey finds 55 percent of Americans regularly take a prescription medicine—and they're taking more than ever. The survey included almost 2,000 adults. The number of prescriptions filled for American adults and children rose 85 percent between 1997 and 2016, from 2.4 billion to 4.5 billion a year, according to the health research firm Quintile IMS. During that time, the U.S. population rose 21 percent. 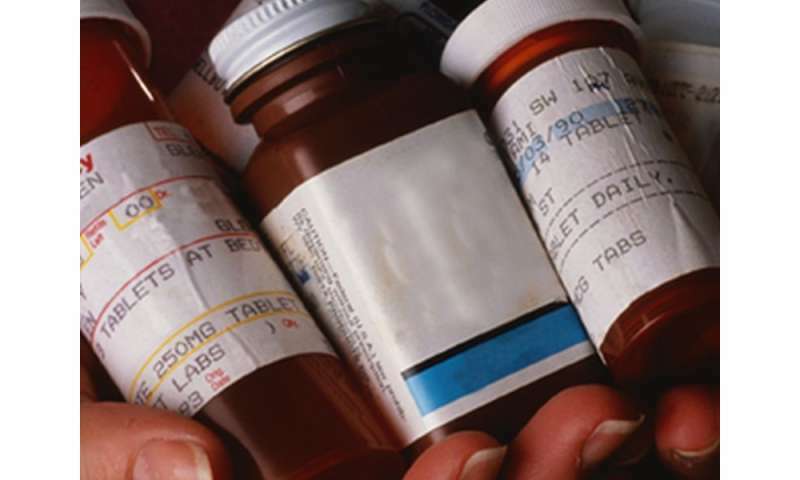 In 2014, nearly 1.3 million people sought emergency room treatment for adverse drug effects, and about 124,000 people died, according to U.S. government data cited by Consumer Reports. The article lists 12 conditions for which people can attempt lifestyle changes before taking prescription medications: ADHD; back and joint pain; dementia; mild depression; heartburn; insomnia; low testosterone; osteopenia (bone loss); overactive bladder; prediabetes; prehypertension, and obesity. More information: The U.S. Office of Disease Prevention and Health Promotion has more on safe medicine use.